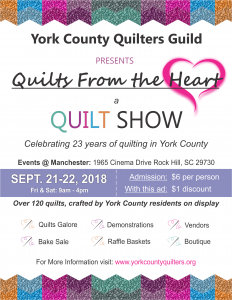 The York County Quilters Guild organized in 1995 and received its non-profit 501c3 designation in 2013. 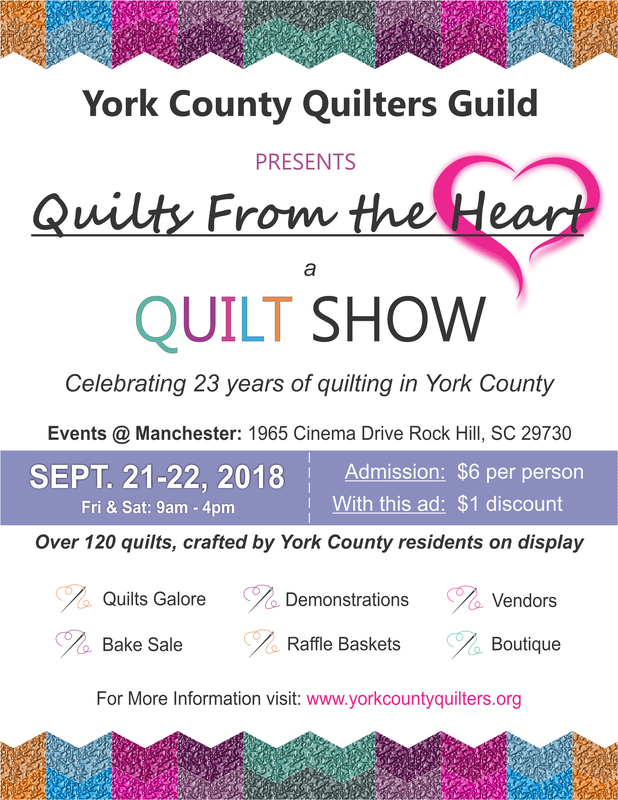 Quilters, from all corners of York County, who share a love of quilting, met once a month for programs, show and tell, door prizes and just plain fun. Some of the varied opportunities offered by the guild include: an extensive library, a block exchange, a biennial quilt show, making heart block (for members who are hospitalized), identifying and coordinating philanthropic activities for community organizations, participating in the national “Little Dresses/Britches for Africa” effort, several small groups (bees), and workshops taught by local, state and national teachers. We offer you a special invitation to come and visit our guild. Individuals are welcome as guests for two guild meeting visits. After the second visit, our guests are invited to join the Guild if they have not already done so.